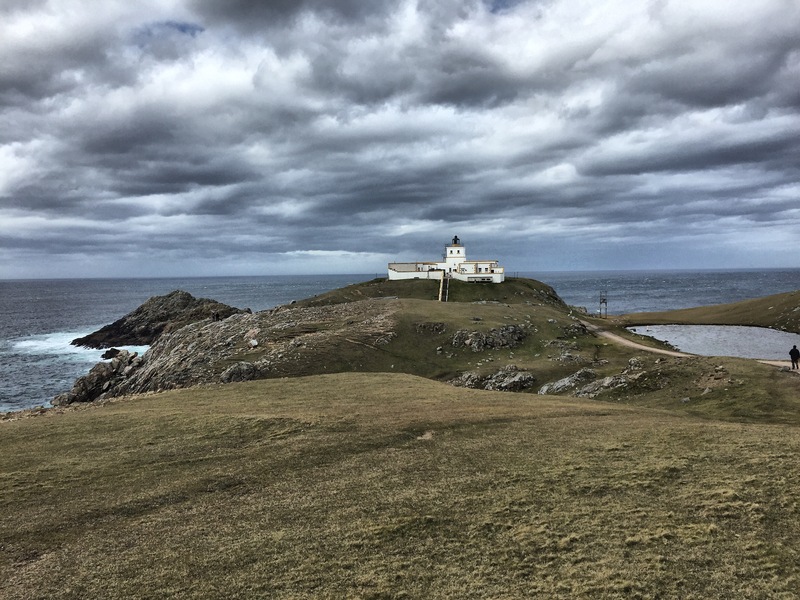 On one of our trips along the north coast of Scotland we came across Strathy Point Lighthouse. If you imagine a windswept cliff with waves crashing sand thundering into the rocks below you would not be far from the reality of our visit there this day. It really was windy, and the waves really were crashing onto the rocks below. 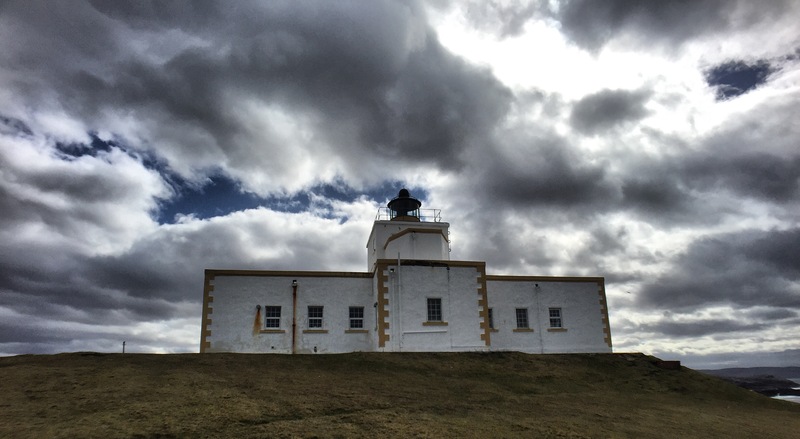 The lighthouse at Strathy Point on the North Coast of Scotland doesn’t have a distinguished and long history. An application to the Trinity Board for the building of a lighthouse was first made in 1900 and rejected. It wasn’t until 1953 that the need for a lighthouse was sanctioned, eventually being lit in 1958. There after Strathy Point filled one of the last important dark blanks on the Scottish coast between the practical limits of visibility of the major lights. 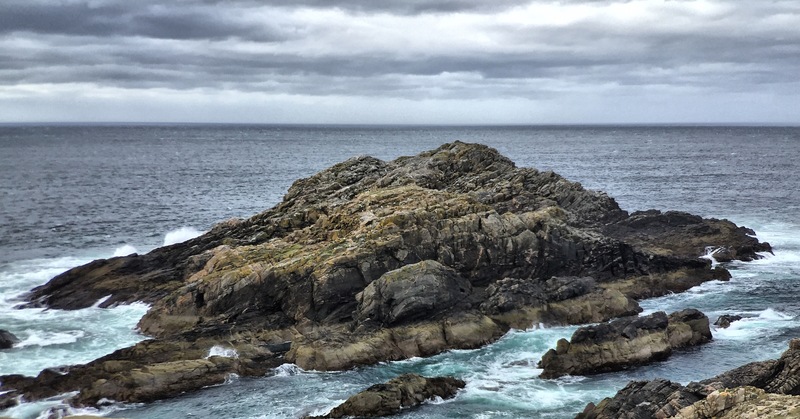 Strathy Point was the first Scottish Lighthouse built as an all-electric station, with a light and a fog signal. The light is now remotely controlled, and the accomodation where the lighthouse keeper once lived is now a private residence. Yo can read more technical details about the lighthouse here on the Northern Lighthouse Board website.